This past week I had the privilege to attend an outreach in the gym I had spent countless hours running and playing in at Derry High School. During my senior year at Derry, I led the high school Bible club and dreamed of the day where my fellow students would come to know Christ. We did see God do some great things that year, but this past week was a long answer to prayer. 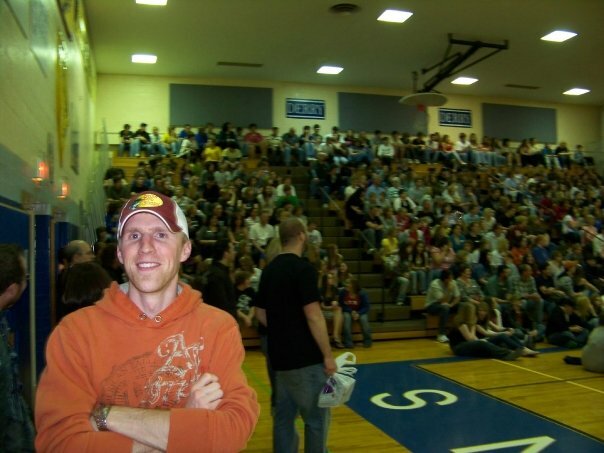 I had the true honor to see over 700 students at an outreach in my high school gym where 75 students gave their lives to Christ. I was so thrilled to see God still working and moving in my alma mater. By the way, if you enjoy campus ministry, you need to talk to the guy responsible for this outreach and numerous others in the Pittsburgh area: my hero, Travis Deans. Hey Nick, it was so great to have you there! God is so good! This was very appropriate. Thanks Nick!